If I had to pick one hero piece for fall and winter, it would be the blanket scarf. If you&apos;re looking for a powerhouse with ultimate versatility, the blanket scarf is for you! You won&apos;t believe how many ways there are to wear it. Just search blanket scarf on Pinterest and you&apos;ll be amazed by all the options. And in our neverending quest to bring you chic outfit ideas, we decided to tackle several of those styling options for you. The best part about the two blanket scarf looks that I&apos;m sharing is that there is no folding required! So, let&apos;s do this...Let&apos;s talk about how to style a blanket scarf! First, we have the poncho look...Ponchos are hot hot hot right now. I definitely have several traditional ponchos myself, but what I love about blanket scarves are that essentially it&apos;s several pieces in one. You can wear it as a classic scarf of course, but I always love going the non traditional route when I can. Haha! 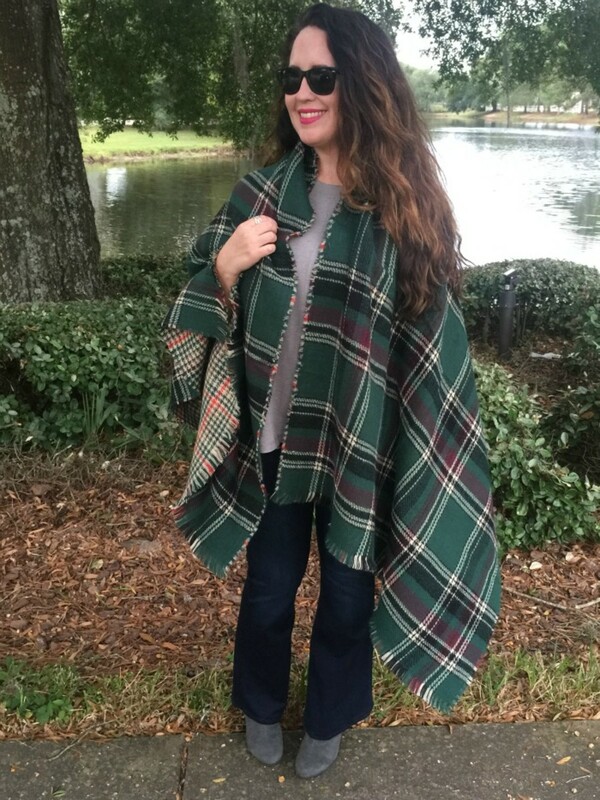 All you have to do to rock this look is drape the blanket scarf over your shoulders like a...you guessed it...poncho! If you took a peek at my closet, you would see a slew of plaid pretties. And this little baby is my newest acquisition. I may end up gifting it to my bestie because it just screams her...I&apos;m a giver, but I digress. 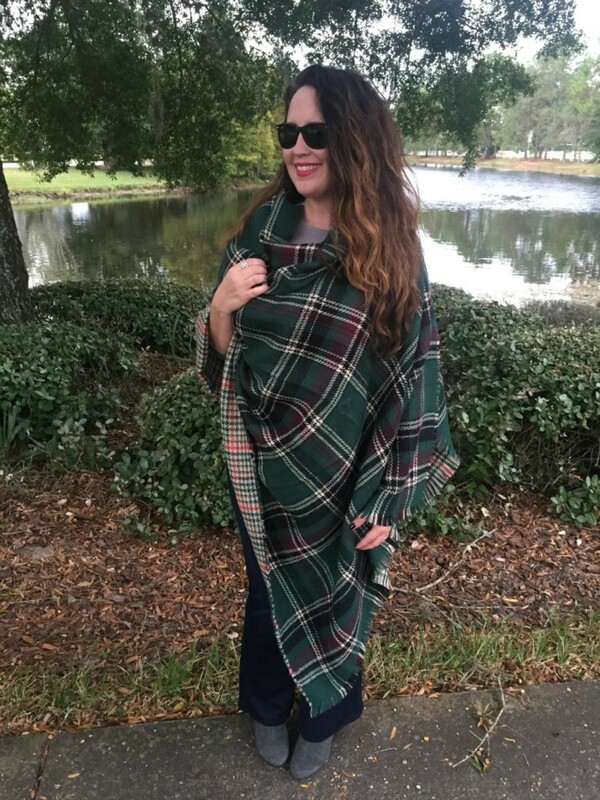 This way of styling a blanket scarf resembles a cape...It is not for the faint of heart. It&apos;s a bit dramatic in fact, but a perfect way to showcase your scarf&apos;s fabulous print. You simply start your drape from the front, instead of the back like with the poncho. You didn&apos;t think we were done yet did you? Nicole has a video for you chock full of even more fabulous ways to wear a blanket scarf!